Cool evenings wearing your favorite plaid flannel shirt. A cozy blanket draped on the sofa while you sip hot coffee (or a glass of wine). I can just feel it – Tartan is not just a fabric, it’s almost something that evokes an emotion. The things we chose for our home are an expression of who we are and how we want to feel. That’s really what interior design is all about. I want to come home after a long day and just feel absolute peace, comfort and relaxation. I love to get home from work and immediately put on my flannel PJ’s and curl up on the sofa or in the bed to unwind? Rainy day spent in this bed, yes please! Our interiors set the tone. Sophisticated, handsome, smart, just a few words to describe the use of this plaid wallpaper. In an office, bedroom or den, you can’t go wrong. You can’t go wrong with assortments of shapes, colors and patterns when working with plaid. I love love love everything about this group. It speaks to me in so many different levels! Need help selecting the right use of plaid in your home? 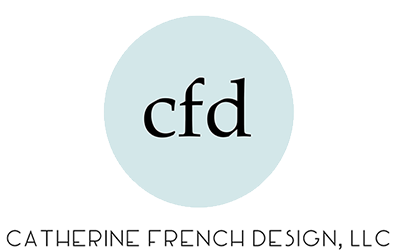 Shoot us an email at hello@catfrenchdesign.com!